The AIPCT marked its second anniversary with the Annual Institute Lecture, November 26, 2018. 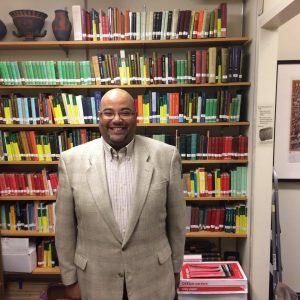 Dr. Myron M. Jackson holds the Besl Chair in the Ethics, Religion, and Society at Xavier University in Cincinnati. Dr. Jackson is a Fellow of the AIPCT, earned his Ph.D and M.A. in Philosophy at SIUC, as well as a B.A. and an M.A. in Political Science. His work focuses on the philosophical aspects of popular culture, historically and in the present (especially in the US), and the metaphysics of time and history as they affect the creation of human culture (politics, religion, ethics). The lecture is here.